WAILUKU, Hawaii – Public hearings on the county’s tax rates for fiscal year 2016 will begin at 9 a.m. on Friday, May 15, Council Chair Mike White announced today. A public hearing at 9 a.m. is for the purpose of receiving testimony on fuel tax rates, with testimony then accepted on motor vehicle weight tax rates at 10 a.m. and real property tax rates at 11 a.m., respectively. Proposed fuel tax rates are 18 cents per gallon for gasoline and diesel and nine cents for biodiesel. The proposed motor vehicle weight tax rates for trucks not exceeding 6,500 pounds and passenger vehicles is three cents per pound, effective Jan. 1, 2016. The proposed real property tax rate for the homeowner classification is $2.75 per $1,000 of assessed value. Other details on the subject tax rates are stated in each agenda. 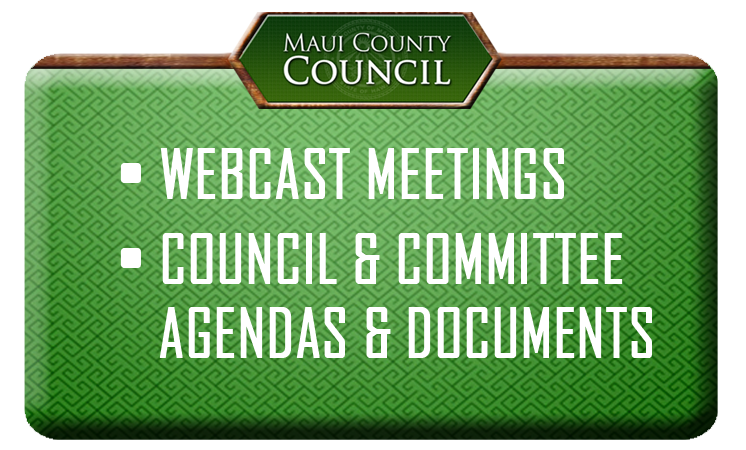 The agendas for the public hearings are available at MauiCounty.us/calendar. “I encourage the public to testify Friday on these tax rates,” White said. He noted testimony may also be emailed to county.clerk@mauicounty.us. White noted the $621 million annual budget proposed by the Budget and Finance Committee will be before the council on first reading on May 26 at 10 a.m.